A constant challenge in business is the balancing of capacity and workload/revenue. If you build out extra capacity, you’re ready for the work and can service it quickly. However, you realize less than optimal occupancy as a result. You have happy customers and employees, but take a hit to margins. On the other hand, if you react to the volume, you can add in capacity accordingly and have a very nice match between the requirement and the capacity. The tradeoff here is you maximize your profitability, but customers will have slow service until you catch up, and employees may not react well to the ups-and-downs of their workload. So, what’s the best way to balance this? As with everything we do in workforce management, this depends on the business priority. I know many people who have a very set viewpoint on how the balance should be done. But this is about supporting business objectives, and not about having only one way to do things. A business that has a strong brand they need to protect will likely need to have capacity built out in advance, even if it’s less profitable. In this case, the payoff is maintaining the brand, keeping customers long term, and making money in the long run. A less-efficient approach today means more profits overall. A great way to lose credibility with your business leaders is to push a solution that just applies math to a situation without putting it into the broader context. In my experience in WFM, this is the #1 driver to disconnects between WFM and the business leaders who are accountable for the big picture. Once you know the business priorities, you can develop a plan of action for flexibility. The best way to do this is to start with the annual, or long term planning cycle. This allows you to have the most options to align your capacity (employees) with your demand (workload). 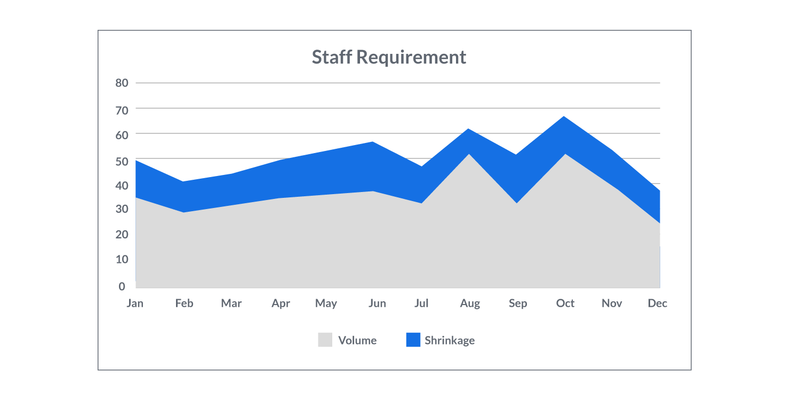 Create a visual that shows the requirement by month of year and the expected resources on one chart. Starting with this baseline provides a clear view of where you are and what your target is. I recommend saving this and keeping it as its own visual throughout the process. The view will change many times, and having a clean view of your starting point will be handy once you have the dozens of changes in variables you’ll likely experience. Example: The delta between the orange and blue lines need to be resolved. What does this mean? Well, it means that before you get fancy and start hiring temps or planning for overtime, you want to look at ways you can flatten out your requirement by month. If your requirement for July is 48, then August is 62, and September is 52, you’re going to have a really challenging time covering August without overspending in July and September. But if you start by looking at how to bend the demand curve, you can make this an easier equation to solve. Generally, shrinkage is going to be the easier one to control. Look at your plan for % of time offline for activities such as Training, Meeting, Vacation/PTO, and Absenteeism. How can you move this time from a month with higher requirement to one with a lower requirement? For Training, Meeting, and Vacation, you can directly shift this in the plan and enforce it as schedules and offline activities are planned closer to the day. Absenteeism? Offer an incentive for perfect attendance. Just make sure that with a planning assumption like absenteeism that you have a commitment from the operations leaders (or at least have them sign off on the assumption). This one doesn’t get a lot of love, but this can be shifted as well. There are certainly environmental or industry drivers to this – Nobody books business travel at Christmas time. But there are actions your operations can take to shift volume across months. The objective here is to reduce the cost to staff your operations. So actions such as offering customers incentives to contact you during off-peak months can pay off. Additionally, you can add more focus on self-service functionality in advance of peak months. An example of this is messaging on the IVR or hold message that reminds them of your self-service capabilities. This can also be done proactively, by reaching out to your customers by email or on invoices and promoting the convenience of self-service. If you really want to get crazy, fulfill orders you know they will call in for during that time. Take the risk they will send them back. This makes sense for some businesses – For example, in the medical industry where customers who are on maintenance medications need them every few months. It may not make sense for everyone, but the best WFM professionals leave no options undiscovered. Example: Be sure to look at the components of your overall requirements to find opportunities to shift work. Once you have a final view of the requirements, you can now deploy resources against them. To start, look at your requirement graph. What month is your lowest? Whichever month this is should be where you staff your full time employees to. So, if your low month requires 45 in March and peaks at 67 in October, you want 45 Full Time employees because you know you can keep them busy all year. From there, look at your deltas each month from 45 to that month’s requirement. 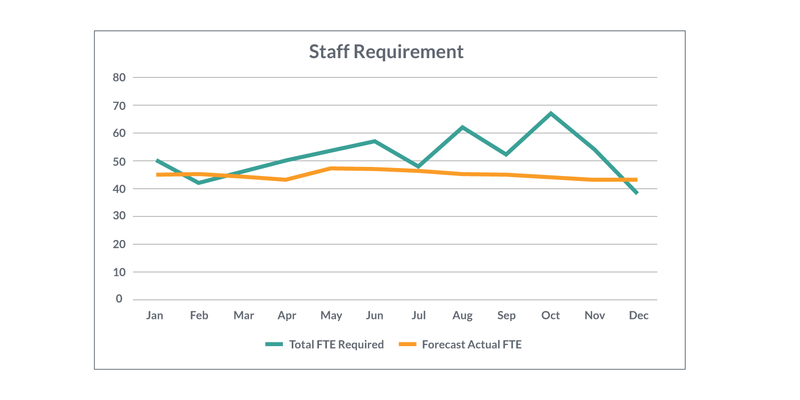 This is the number of FTE (Full Time Equivalents) you need to cover through flexible staffing methods. Each option has different costs and tradeoffs associated with them. Be sure to collaborate with your business partners on areas such as overtime (how much can employees do before productivity/morale is impacted?) and with recruiting on areas such as the ability to recruit non-Full Time Employees. They will have important input that will help to drive this decision. 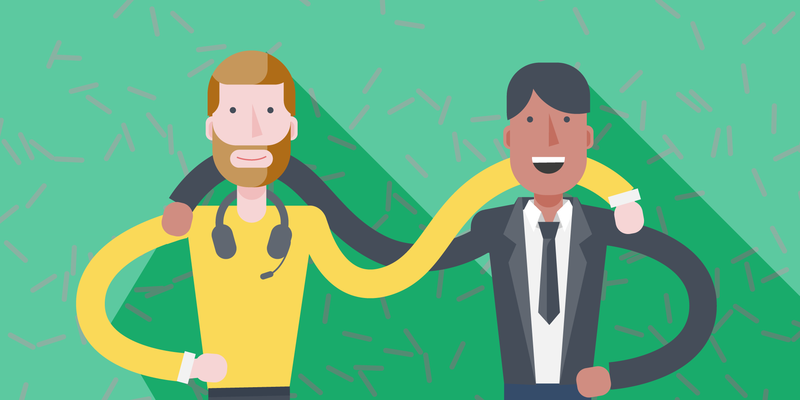 As you plan out your staffing, it’s important to challenge all assumptions. Some ideas face resistance. Some have been tried before and failed. Some will seem like too much effort or cause employee inconvenience. There is no “one size fits all” solution to flexibility. It requires fully vetting your options, understanding your business objectives, and partnering with your co-workers to develop the best solutions.